One of the original railway catenary supports for the Rhaetian Railway in southeast Switzerland is preserved inside the railway's museum in the Bergün station. 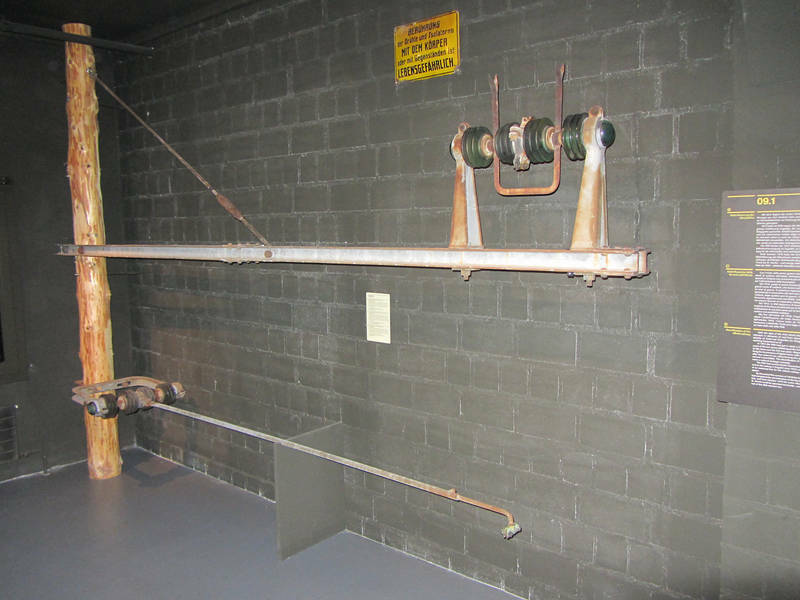 Note that both the pivot for the steady arm (the large horizontal arm that keeps the wire in place) and the support for the carrier wire use three large glass insulators. The railway was originally electrified in 1919 with 11kV AC at 16-2/3 Hz. It still runs on that today, though the overhead contact system has been completely modernized with steel supports and porcelain and polymer insulators.